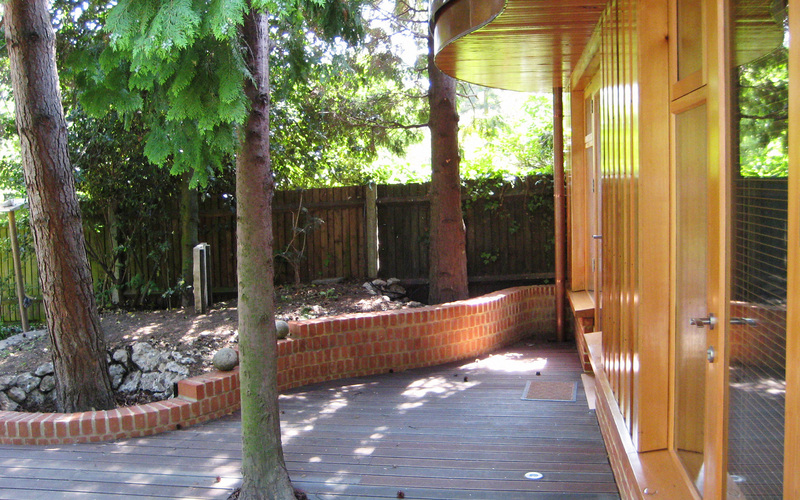 This garden room building was built at the end of the garden behind this cluster of existing fir trees. This part of the garden was for the most part unused other than the presence a bomb shelter left over from the second world war and a compost heap. 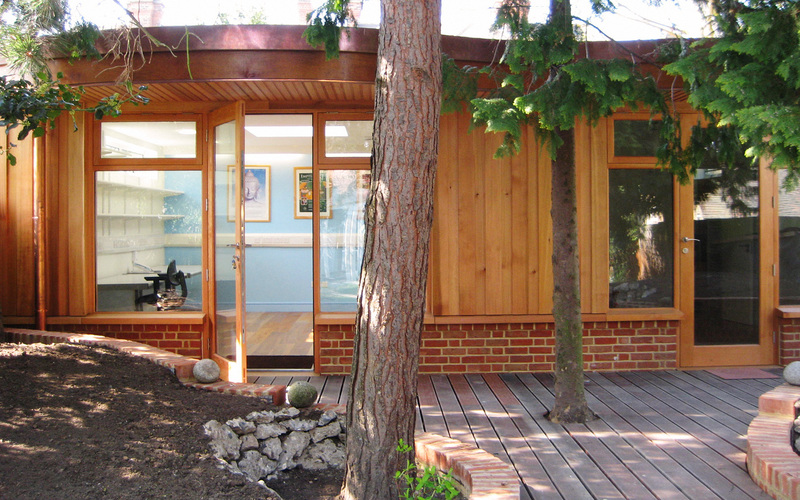 This garden building provides a fully kitted out office including telephone and Ethernet connections as well as an en-suite bedroom. The new permitted development rights now make it much easier to create a building in the garden such as this. The challenge with such buildings is how to integrate them so that they do not visually encroach on valuable open garden space. 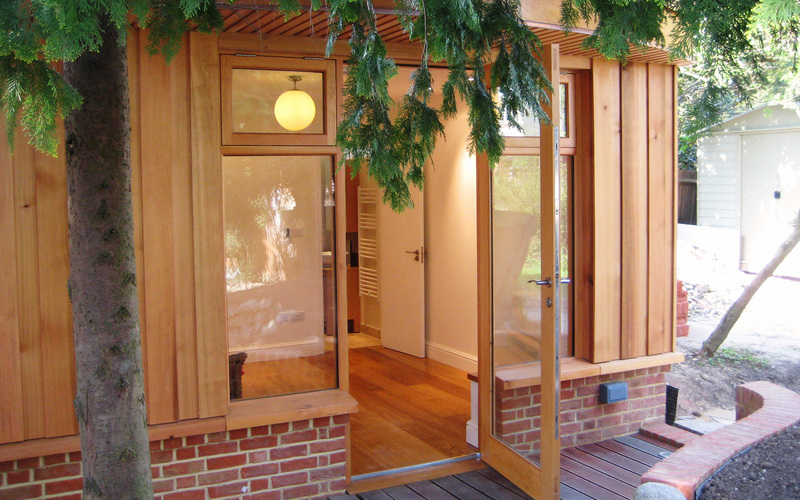 Here through the use of natural materials of cedar cladding, copper and douglas fir doors and windows the building maintains a soft appearance that respects the garden. 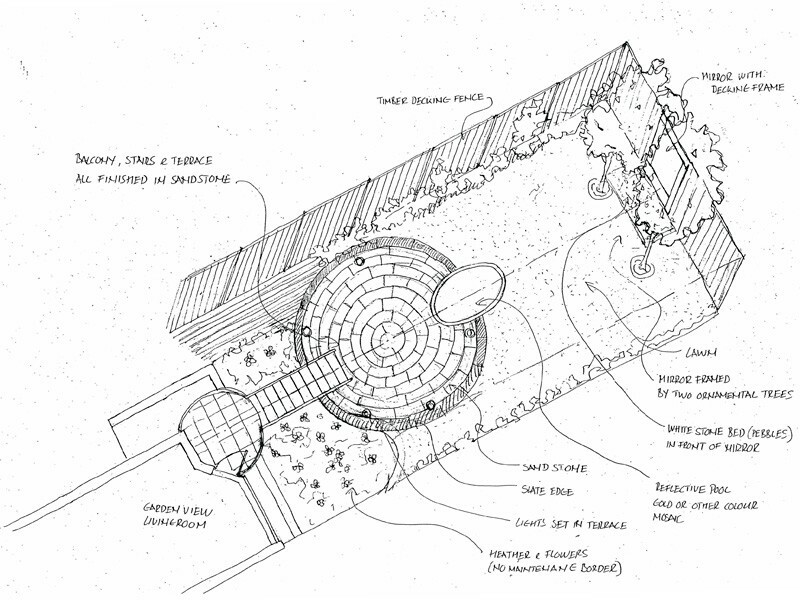 The projecting roof and the brick retaining walls of the garden beds are curved to wrap around and compliment the existing trees. Our role in this project went way beyond that of just architects. In addition to the usual architect services such as obtaining the required certificate of Lawfulness and producing working drawings we also brought in our own subcontractors and carried out the daily hands on management and ordering of materials from the initial demolition through to finishing the landscape gardening. 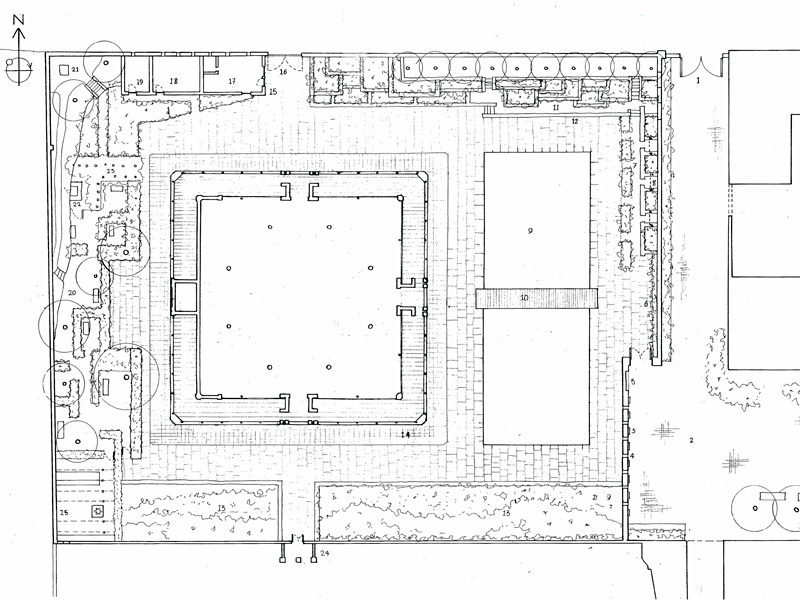 To avoid adding to landfill a significant portion of the demolished concrete and slate from the bomb shelter and the excavated earth were retained on site and used in the landscaping scheme. The clients love the building and say how visitors to the house comment on how soft the building appears in the garden and how it has actually enhanced the garden.